Chris started on the bass at the age of 14 and has developed over the past 15 years into an amazing talent and teacher. Chris grew up in a musical family and began playing in the church as a teenager. His ability to play several styles such as Gospel, Rock, Funk, R&B and Contemporary, has made him a very versatile player and studio musician. He has gigged locally and across the US with hometown bands like Method Echo and Worth Dying For. In addition he has performed on radio, and tv, and recently on Klove with Lincoln Brewster’s performance “Made New”. 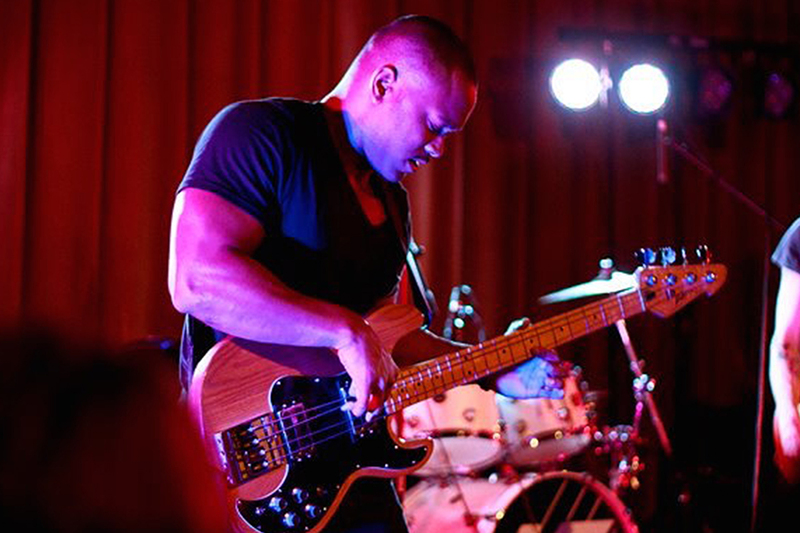 Chris’s influences range from players such as Jaco Pastorius, Marcus Miller, Victor Wooten, Tower of Power, Snarky Puppy, Aristocrats. His approach and passion to teaching is based upon strong fundamentals and techniques. This will give you some understanding of what he plays.